Master Student’ Second Year Presentation was held. Posted on : February 22, 2019 Last updated : February 22, 2019 Author : Socio-environmental Energy Category : Award, Socio-environmental Energy Science Dept. 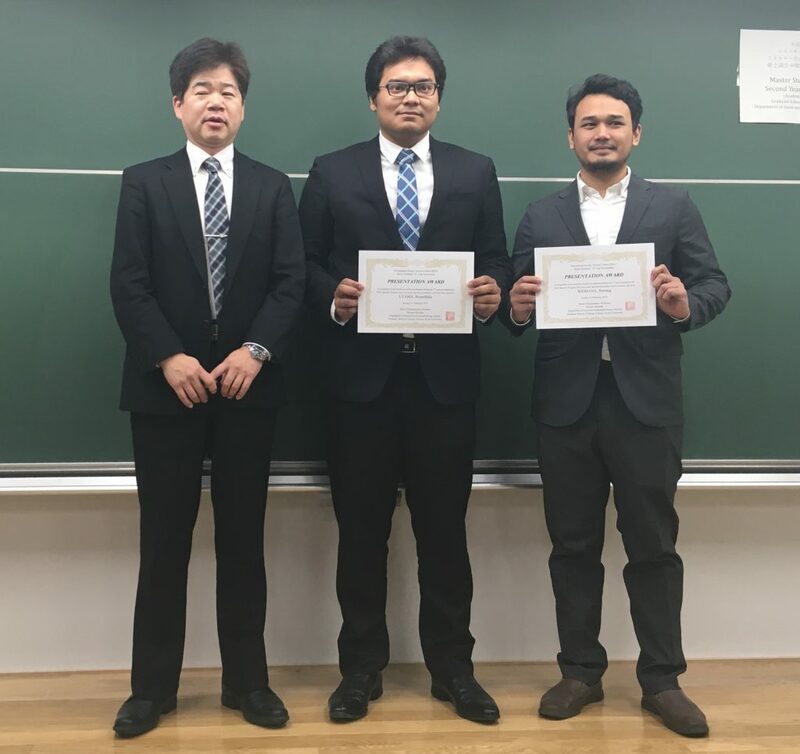 A research presentation of 2nd year IESC (International Energy Science Course) master student in socio-environmental energy science department was held on February 21st, 2019. Mr. Utama Briandhika and Mr. Widhana Bintang got excellent presentation awards.